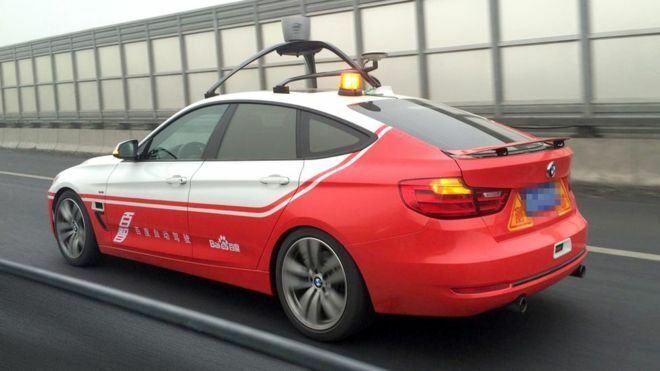 The partnership between Baidu and BMW, which was initially unveiled earlier this year in June, has already made waves with its aims to beat Google to the commercial market for self-driving car - and with news of its modified BMW 3 Series successfully completing a round of new tests that goal could be ever closer. The vehicle went through a grueling 19-mile testing phase that included a mixture of road conditions, designed to simulate the variety of scenarios a road-worthy car would undergo in the hands of Joe Public. Baidu, one of the biggest web providers in China, began the course at its headquarters in Beijing and performed U-turns, hard and sharp turns, overtook other moving cars and hit speeds as high as 62 mph - all without human assistance. "Fully autonomous driving under mixed road conditions is universally challenging," commented Wang Jing, the SVP for the company's Autonomous Driving Unit. "With complexity further heightened by Beijing's road conditions and unpredictable driver behavior." The motor in question has been fitted with an 'AutoBrain', a bespoke onboard computer which combines detailed maps of the roads in its region and local traffic data with object and environmental perception sensors to create a machine that adapts and reacts to the changing road conditions and scenarios around it. And while it's far from ready for commercial use at this stage, Baidu remains confident it will pioneer autonomous vehicle tech in the years to come.